Dr. Montague was born in 1948, in Akron, Ohio, but grew up on the East coast, in Norwalk, Connecticut. At age 14, his family of 5 moved clear across the country, all the way to Hanford, California, a small town of 13,000 people, in the San Joaquin Valley. After attending college at Fresno State University for 3 years, he was accepted into Northwestern University Dental School in 1969, with its downtown campus on the beautiful shores of Lake Michigan, in Chicago, Illinois. Four years later, in June, 1973, not only was he graduating ( as the youngest graduate in his class), but getting married as well. He met his future wife, Judy Toraason, at Northwestern, where she worked in the Pathology Lab, after getting her University of Illinois degree in Microbiology. Judy is the second oldest of 13 children, 3 of whom are dentists. Her father practiced family medicine for 50 years, having graduated from Northwestern Medical School. Her grandfather also was a dentist, and also graduated from Northwestern. 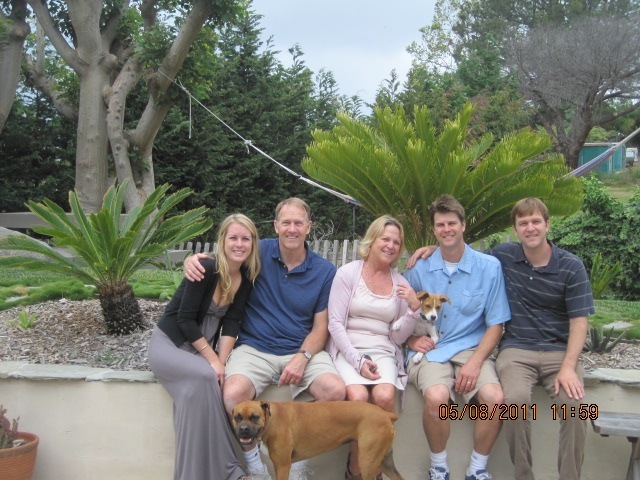 After one year working at a dental group associated with Presbyterian-St. Lukes Hospital in the south side of Chicago, they moved cross-country to beautiful San Diego, initially living in La Jolla. A few moves later, to Solana Beach, then La Costa, they now reside in Cardiff-by-the-Sea. They have three children, all now adults, Luke, Nick, and Kathryn. Dr. Montague has alot to be proud of with his family. Judy got her Masters degree in Theatre from SanDiego State University, and is a successful playwright, having written many plays that have been performed throughout the United States, most recently in Orlando, Florida. She also has an Antique business, specializing in heirloom jewelery,and antique furniture and is currently quite involved in bringing theatre to Encinitas, where she is founder, producer and director of the new local theatre, E.T.C, Encinitas Theatre Consortium. Her other passion is swimming and deep sea fishing. She recently caught a 353 lb. 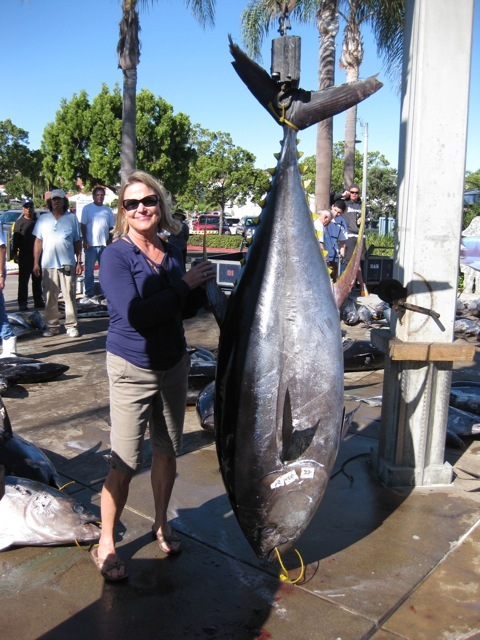 yellow fin tuna, the largest ever landed by a woman, and frequently goes on long range fishing boats out of Point Loma . In the summers, you can find her swimming the various 1-Mile Rough Water swim races along the Southern California coast. Nick graduated with a double major in International Business and Finance from Cal State Long Beach. He attended college in Spain , and worked in London for a law firm after graduation. 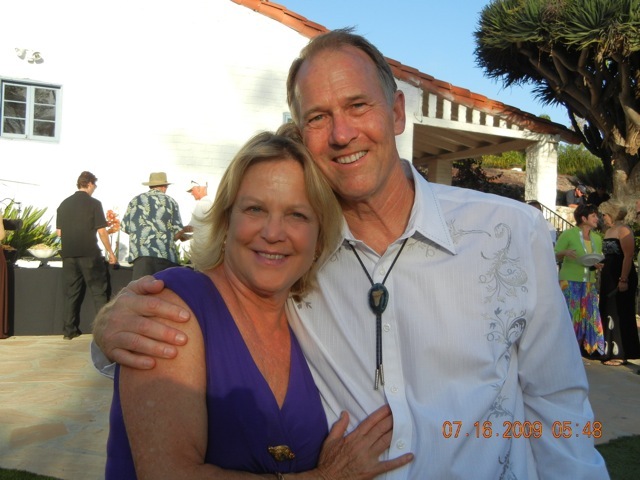 He recently married Bonnie, a hospital administrator at Scripps Hospital, Encinitas. 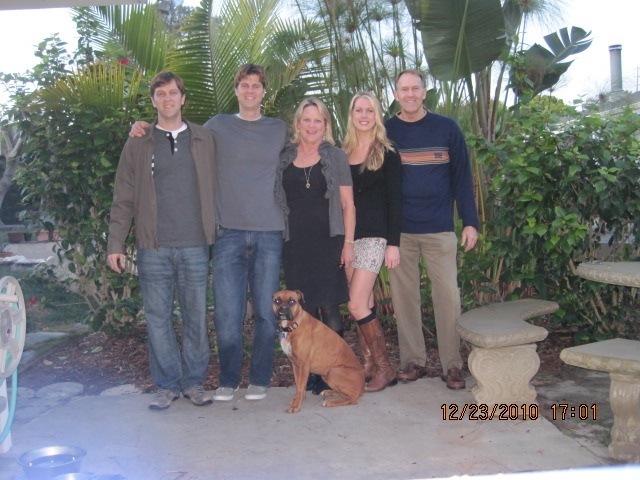 They reside in Leucadia, and are expecting the birth of their first child, due in March of 2013. Kathryn recently graduated from West Coast University School of Nursing where she received her BSN, after attending San Francisco State College. She spent nearly a year in Australia, traveling and working in various hospitals in and around Sydney. She currently is a School Nurse, taking care of the needs of two elementary schools in Chula Vista. She lives in Solana Beach. Dr. Montague founded La Costa Dental Group in 1975, after working as an associate in two different dental offices downtown. He brought in his wife's brother, Dr. Jeffery Toraason, as his dental partner, and they worked together for 30 years. The original office was at the old La Costa Plaza, at the corner of La Costa avenue and El Camino Real. The move to the current location was done in 1994. Dr. Montague has proudly served the dental needs of this community for 37 years, and has always offered a wide range of services including Cosmetic dentistry, childrens dentistry, general dentistry as well as Sleep Apnea treatment. 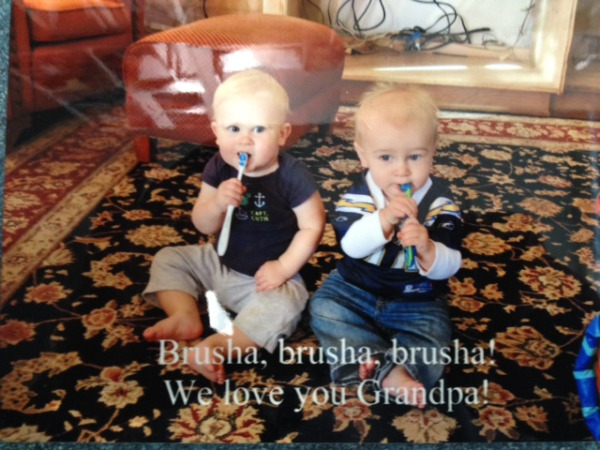 He is most proud of his staff, who are professional, competent, and friendly, and most of all they enjoy long careers with La Costa Dental.